The Zohar is intended not as intellectual, historical, mystical, religious or fictional reading. It rather should be treated less as “a book” and more like “a board,” that by “pressing” on it, that is by inserting one’s effort and will to achieve a better, more complete life through The Zohar, then its signs, letters, and words influence specifically this will in the person in ways that the person cannot understand, but can start feeling. Developing this approach to The Zohar requires developing one’s intention toward it: Why are you reading The Zohar? What do you want to achieve out of it? Dr. Michael Laitman’s commentary in The Zohar lessons helps develop this intention toward The Zohar. Unlocking The Zohar are moments in The Zohar lessons where Dr. Laitman advises on how to aim one’s intention during the study, how to not get confused by The Zohar’s language, which speaks entirely about a higher reality and nothing about this world, and how to stay on track toward finding the deep layers of reality that The Zohar speaks of. Unlocking The Zohar helps you stay connected with and increase this intention from one moment to the next. How to find the deeper levels of reality through reading the ZOHAR, even though I don't know Hebrew? 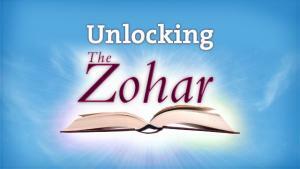 Right now I am trying to study the book of Zohar and I feel that I need some help. English or Russian versions, it doesn’t matter. The Book of Zohar is the best book ever written.....The words chosen explain so clearly what WE have to do to reach the levels ( degrees) desired ( necessary)to be like HIM....I feel so honored to have heard through you about the Book of Zohar..........Thank you ! And thank you as well for the Teachings of Kabbalah.